From the outside looking in, Atlanta and Toronto couldn't be any more different. The cultures, the city rhythms and the distance between the two all point to a less than likely bond, but when you add hip-hop culture, specifically its music, they start looking more like fraternal twins. Rap group CMDWN, made up of Toronto-raised Fiji and Atlanta-bred Ca$tro Guapo, would come to realize this in 2016 with the release of their Atlanada mixape, and two years later, they've returned with Atlanada 2. 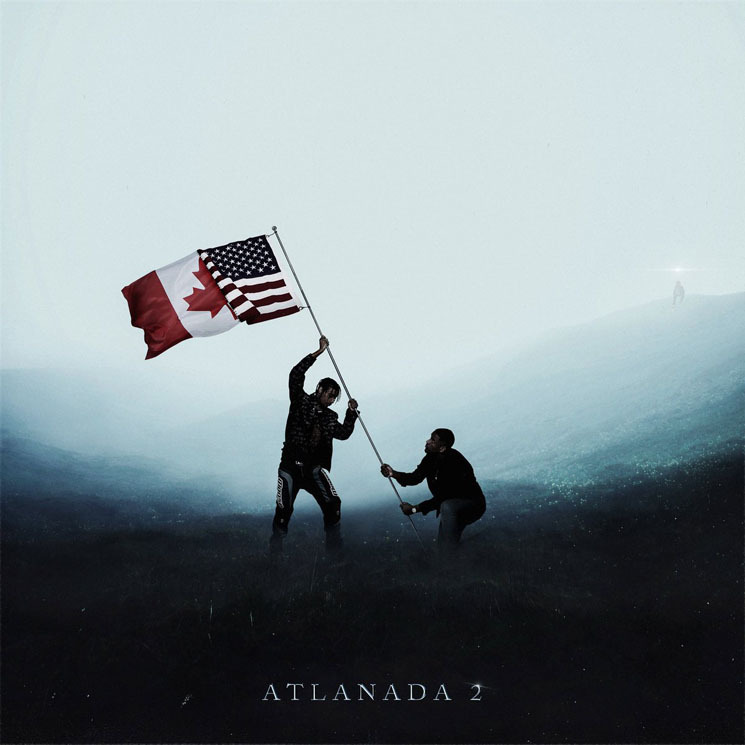 Stretching across 14 songs, Atlanada 2 serves as a bridge between the inspirations and sounds of both artists, which shows heavily in both production and features. The bulk of the bass-y, synth-heavy anthem comes at the hands of producers 1K and Dnny Phntm, both of whom have a knack for bringing the best out of the rappers individually, as well as together. While Ca$tro uses Dnny Phntm as his secret weapon on melodic-led singles like "Hit & Run" and "WTF Is That," and even the WondaGurl-assisted "Die In Supreme," Fiji comes alive over darker 1K production on "Paul Walker" and "Bermuda." The essence of this album is collaboration, which results in features from Toronto artists Killy, Pressa and Lil Berete, and American artists KEY!, Lil Wop, Nessley and Chief Keef, all of whom add something special to the album, as well as a sense of balance. For instance, as Chief Keef's cut "Roxanne" is a quick-spitting record, the Lil Berete-featured "Bool" slows things down for one of the few introspective songs on the album.